In most cases, an established business will select a brand name based on the name or names of business owners or a word or phrase that reflects their industry, their goods, or a particular image they wish to convey to the public (or all of the above). Selecting a name for a business is both a personal and professional pursuit. But if you’re starting an online business, you may wish to go about the process of selecting a name for your business and your brand in an entirely different way. You might want to come up with several potential names and then peruse domains to see if any of the ones on your list are available. But you should also consider names based on whether or not they are brandable. 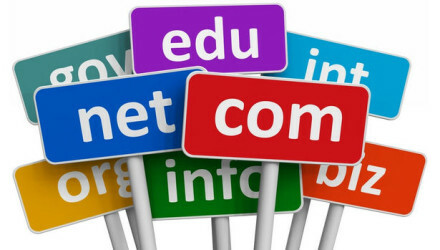 And here are just a few tips to help you choose a domain name that is sure to spread like wildfire in the online arena. Relevance. Probably the top priority on your list is choosing a domain name that is relevant to your business. If you already have a business name then your best bet is to see if you can nab the same domain name. If, for example, your name is Perez Hilton, you might want to go for PerezHilton.com. But if your first choice is already taken, you might shoot for a nickname like PH.com, philton.com, or something similar. On the other hand, if a popular website already has your name, you might want to separate yourself. In this case you could choose a domain name that focuses on your industry or your intent. What you don’t want to do is select a domain name that has absolutely nothing to do with your business. Distinctiveness. It’s important to set yourself apart from competitors, and your domain name should reflect this. You might be tempted to take a domain name that is similar to a competitor as a tricky way to steal some of their business, but there are a couple of reasons why you shouldn’t do this. For one thing it reflects badly on you amongst your online community of peers, and at some point you may find yourself in need of their support. But it may also serve to upset customers who find you when they’re looking for your competitor, consumers who might otherwise have found you by other means and given your goods or services a chance. So strive to create a niche and start with a distinctive domain name that separates you from the competition. Easy to remember. Part of the reason you choose a domain that is as close to your actual business name as possible is that it will be easy for people to remember. But barring that possibility, you’ll want to select a name that is not only related to your business (thereby making it easy to recall), but also one that is short and succinct. Too many words or an incomprehensible muddle of letters and numbers will only make it harder for visitors to find you again (or at all). Meaning. A truly stellar domain name will not only tell people who you are, but it will relate something about you. Take Match.com and eHarmony, for example. Both are dating sites, but the name eHarmony offers a whole other connotation. Whereas “match” implies helping you find someone, “harmony” denotes something special, a long-lasting relationship that blends romance, friendship, and compatibility. If you want a brandable domain name, choose a word that speaks volumes. TLDs. As you may know, there are a slew of top level domains, including .com, .net, .biz, and more. If you want to rank amongst the most brandable domain names, however, you really need a .com. Of course, ICANN also released new TLD opportunities (gTLDs), so you could always go for something like sony.sony or diamondretailer.diamond (just for example). But this will cost you a pretty penny (a whopping $185,000 just to apply), and the only real draw for this option is if you already have brand recognition. So shoot for a .com.